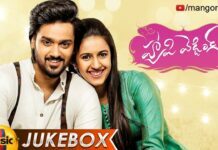 Actor Sumanth Ashwin and Niharika Konidela played the lead roles in this romantic family entertainer Happy Wedding Movie Trailer Released and it has been laced with a dose of family emotions along with a sensible and matured love story. With a bunch of known actors and clean entertainment, the trailer promises a perfect family outing. SS Thaman’s background score should have a special mention. On the whole, Happy Wedding Theatrical trailer looks impressive and it has all the ingredients to watch it with your entire family. 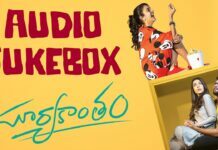 Lakshman Karya is making his debut as a director with Happy Wedding and Shakthi Kanth Karthick is the music composer. The Happy Wedding release date will be announced soon.